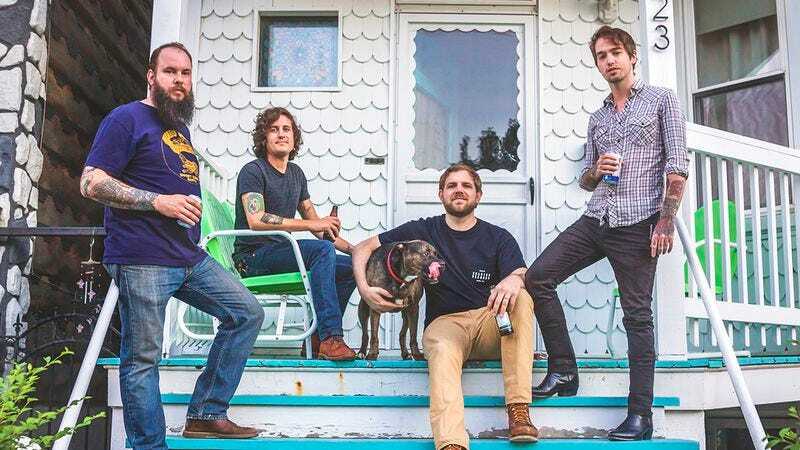 Having gone through various permutations and lineups over its years together, Chicago’s The Gunshy has always rallied around frontman Matt Arbogast. Having used the moniker since 2002, Arbogast has amassed a large body of work, and on October 23 The Gunshy will throw a new 7-inch on the pile. Coming via Sleep Recordings, the new EP At 35 is the first release since the band’s fifth album Silent Songs, and the first with The Gunshy’s current lineup. The A.V. Club is premiering the video for “Content Man” below, which sees Arbogast swearing off all those daily adult beverages and vowing to live a little cleaner and simpler. Pre-orders for At 35 are available now through Sleep Recordings’ webstore. Downloads of the 7-inch come with a bonus compilation featuring tracks from other artists that have recorded at Arbogast’s studio, including Andrew Jackson Jihad, Cheap Girls, and more. Nov. 13—The Exchange—Hot Springs, Ar.